Hi guys, how's it going? It's another review day and I am bringing you swatches for the final collection I received from MTL Creations. The swatches I'll be sharing for today are from the Full Deck Trio. Personally I think I saved the best for last! For those of you that might not know, I was actually contemplating a professional poker career a few years ago. Poker continues to be a passion so anything having to do with that has me head over heels. The Full Deck Trio by MTL Creations is already available for purchase in full or mini sizes. As I've mentioned in prior reviews, this is a Canadian based indie but she does ship to the US. 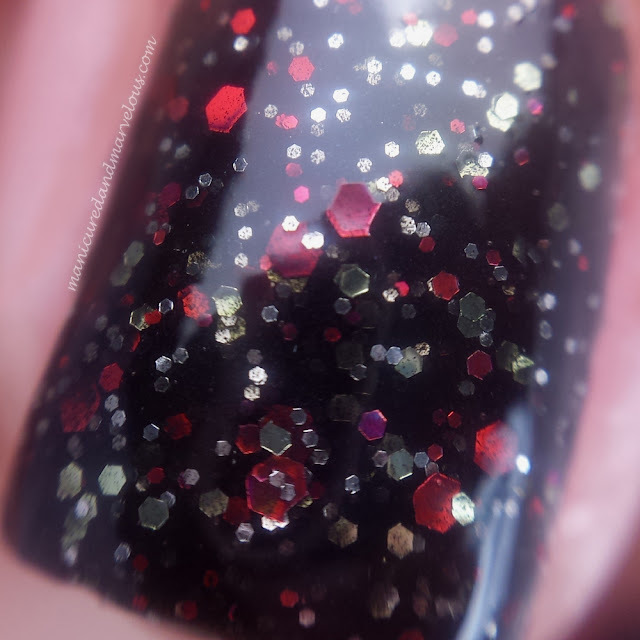 Casino Royale is a glitter polish filled with black, red, and silver hexes in various sizes. Although you can get full coverage on its own, I decided to pair it with a white base. The silver really has that fantastic metallic finish that really pulls this polish together nicely. The formula and consistency are great for a lot of layering, which is what you'll need to do with this one. The buildup doesn't clump up and the glitter variety is pretty balanced throughout. Swatched here using two coats over a white base and sealed with Seche Vite topcoat. 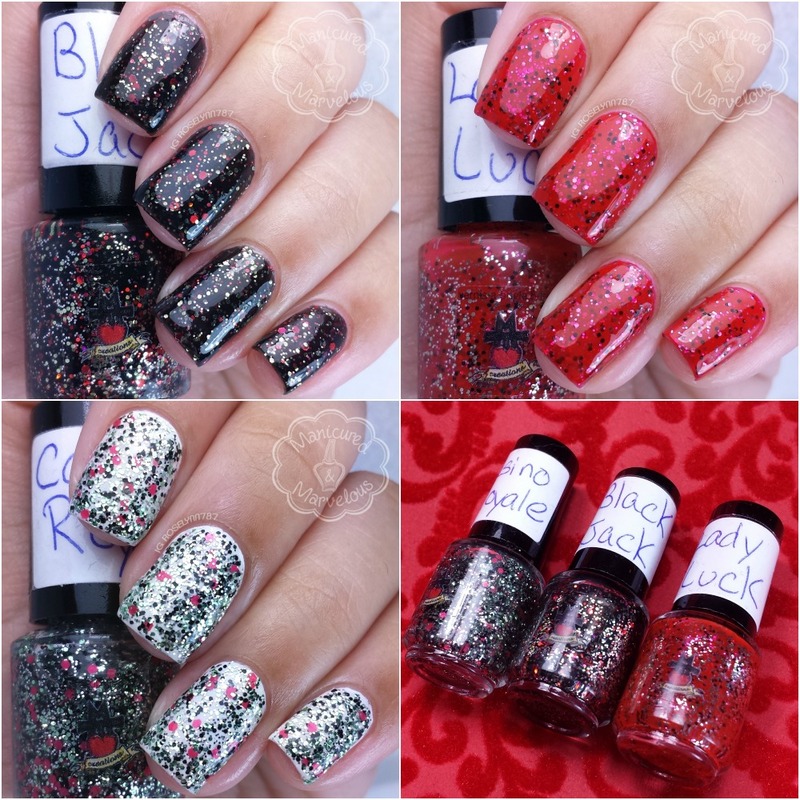 Black Jack is a black crelly filled with silver and red hex glitters of multiple sizes. Doesn't this look like a party-ready mani? I love how much the glitters sparkle over the smooth black base. The application is sheer on the first coat, but it self-levels well by the third layer. Great formula all around. I probably could have got away with two coats, but I added a third for more of a full finish. Swatched here in three thin coats and sealed with Seche Vite topcoat. 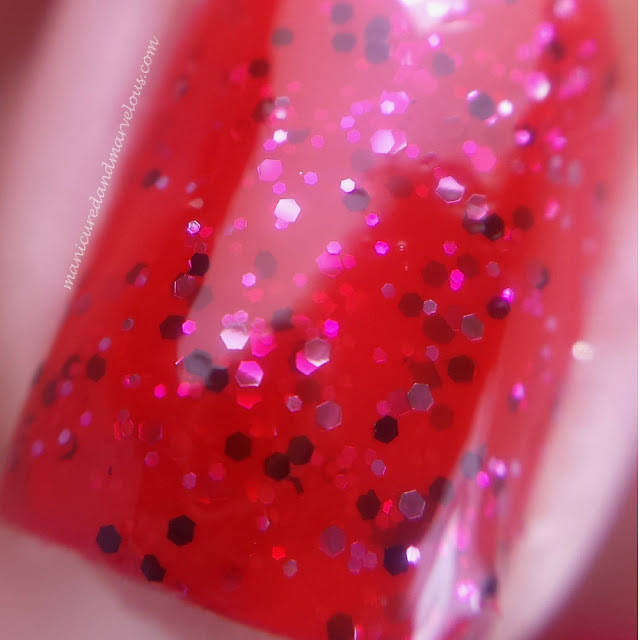 Lady Luck is a bright red crelly filled with black and silver glitter hex glitters in various sizes. Even though I have major love for the entire trio, this one is probably my must-have selection. Though I personally do have a close dupe to it, those who don't definitely need to have one in their collection. I have an affinity for red and that should be no secret haha. Formula and consistency is identical to that of Black Jack. Sheer in one coat, but builds up nicely by the second to third. Swatched here in three thin coats and sealed with Seche Vite topcoat. Overall this was probably my favorite collection I have reviewed from MTL Creations this past month. Crelly finishes and glitters are my favorite combination plus the theme of the trio was something I was immediately drawn to. One thing is for sure, these definitely ring true to the whole card theme! As I mentioned before, these are available for purchase in both mini and full sizes. Which one was your favorite? Any other poker ladies here? Lady luck is lovely. Beautiful swatches! I really love Black Jack! I find these shades perfectly themed, too! Black Jack!!! I love a good black-based crelly! I have never played poker before in my life.... =O! Gorgeous swatches! I feel like I'm in Vegas! Wow, these are all pretty awesome! I like all of them! 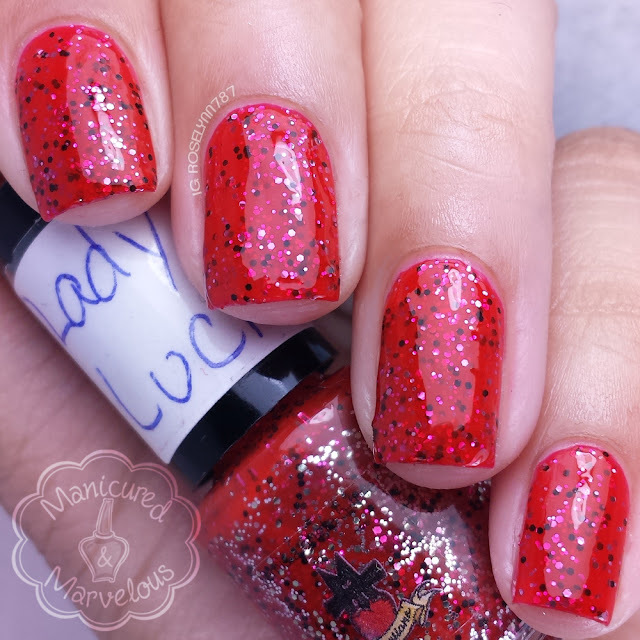 Lady Luck is my favorite - so freaking gorgeous! These look cool and you can definitely get the theme from the look of them! These are so on point with the theme- I love when a collection is super clear like that. My favorite is Lady Luck! 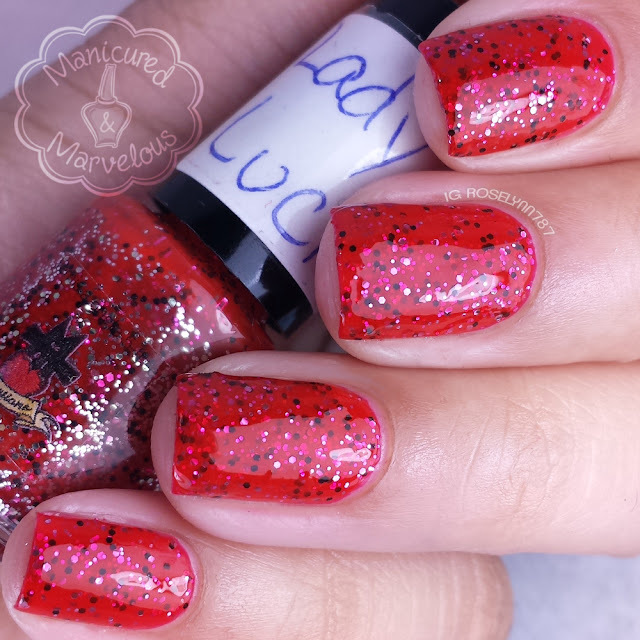 I like Lady Luck the best but they all seem to have great glitter coverage. Black Jack looks really lovely! Beautiful glliters. I loved Casino Royale most, it goes by its name too.